Christina is originally from Athens. She spent three years in Newcastle-upon-Tyne and is now based in Santorini, where she works as a local tour guide. 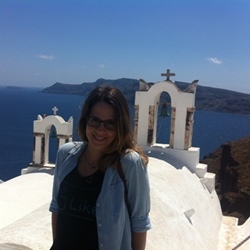 She is also the founder of SantoriniPlus where she blogs about life in Santorini and seeks out the best places for you to go (and the ones to avoid).